Premier Decorations Snowy wooden Christmas church with warm white LED's. 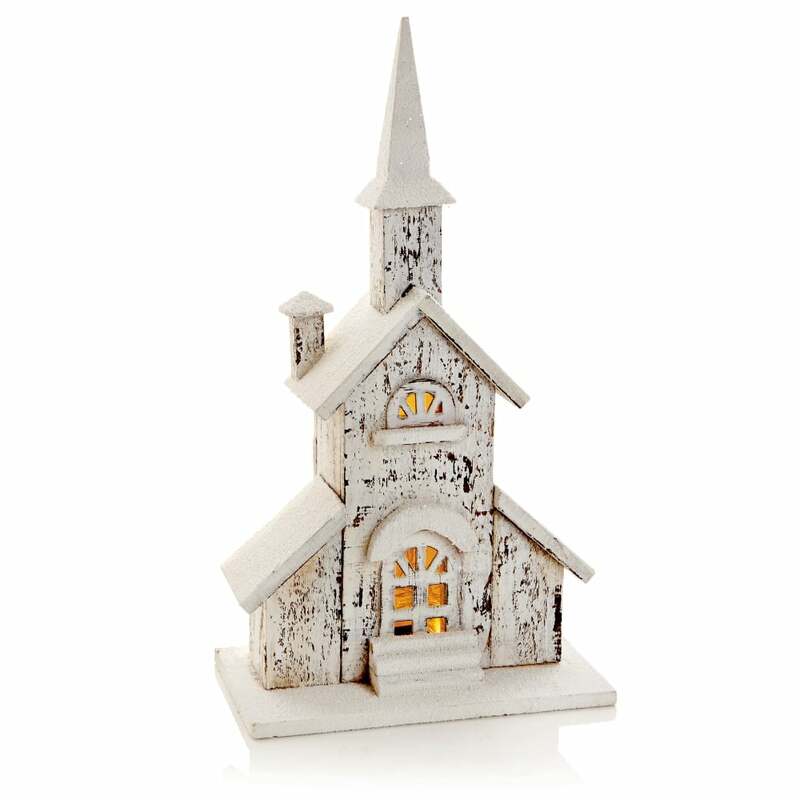 This battery operated illuminated church is truly festive with it's snowy coloured outside creating a festive feel for the winter season. The warm white LED's however do add a warming tone which can be seen through the windows and doorway spaces. Batteries not included and suitable for indoor use only, this Christmas decoration adds a rustic and charming feel to any household this year. This product code is LB171248.